A Cleveland, Ohio native, Rabbi Ari Leubitz received his Bachelor of Science degree at Yeshiva University in New York. Rabbi Leubitz served as the Advanced Jewish Studies Chair at Milken Community High School prior to becoming ordained at the Yeshivat Chovevei Torah Rabbinical School (YCT). After serving as the Associate Rabbi for three years at B’nai David-Judea Congregation in Los Angeles, he moved into academics as the principal of a Modern Orthodox high school, Shalhevet School. 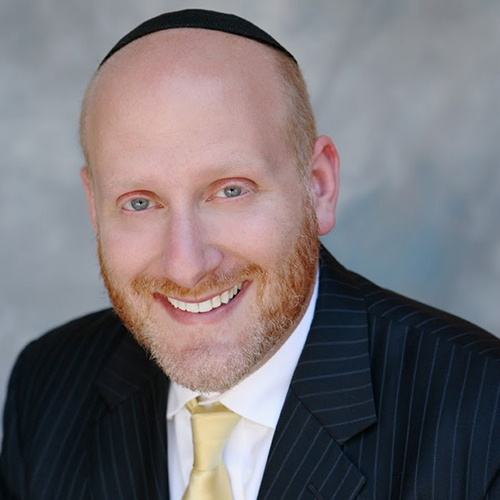 Rabbi Leubitz moved up to Head of School at the Oakland Hebrew Day School and lead that school for almost 4 years. When he learned of the position of Head of School for Atlanta Jewish Academy, he seized the opportunity, which allowed him to work with the Early Childhood – 12th Grade students. His educational philosophy starts with the notion that an excellent Jewish and general studies education has to be something that feels holistic, centered around students and the needs of students. Rabbi Leubitz and his wife, Florence, live in Atlanta, Georgia, with their children: Eliana, Aviva and Ezra.